Universal Pictures has big plans for its upcoming film The Mummy, which is intended to kick-start a new cinematic universe based on the classic Universal monsters. The film will lay the groundwork for that universe by introducing another famous monster in The Mummy, with Russell Crowe portraying the famous — or perhaps infamous — literary character Dr. Jekyll in the film. The characters of Dr. Jekyll and Mr. Hyde were first introduced in Robert Louis Stevenson’s 1886 story the Strange Case of Dr. Jekyll and Mr. Hyde, which followed a London lawyer investigating a strange set of incidents that seem to be connected to his scientist friend Henry Jekyll and the brutal villain Edward Hyde. He eventually learns that Jekyll and Hyde are one and the same person, with the scientist transforming into his immoral counterpart first by choice, then involuntarily over time. 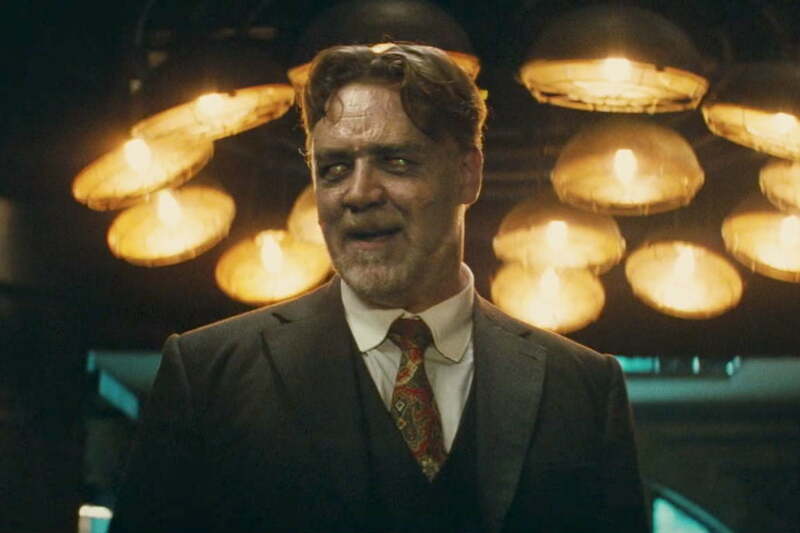 As the teaser indicates, The Mummy introduces Jekyll as the head of a secret organization tasked with investigating evil artifacts and other supernatural mysteries. Directed by Alex Kurtzman, who served as a writer and producer on the first two installments of the rebooted Star Trek franchise, The Mummy casts Sofia Boutella (Kingsman: The Secret Service, Star Trek Beyond) as the ancient Egyptian queen Ahmanet, who wreaks havoc on the modern era after she is brought back from the dead. Tom Cruise stars in the film as the man who unearths Ahmanet’s tomb, only to become the focus of her curse and a key figure in her mission to remake the world. Along with the trio of Cruise, Boutella, and Crowe, the film’s cast also includes Peaky Blinders actress Annabelle Wallis as the female lead, Jenny Halsey. Jake Johnson (Jurassic World) and Courtney B. Vance (American Crime Story: The People v. O.J. Simpson) also play supporting roles. The script for The Mummy was penned by The Usual Suspects screenwriter Christopher McQuarrie and Prometheus screenwriter Jon Spaihts. Following The Mummy, Universal has plans to develop new films for its cinematic universe based on The Wolfman, The Invisible Man, The Bride of Frankenstein, and Van Helsing.